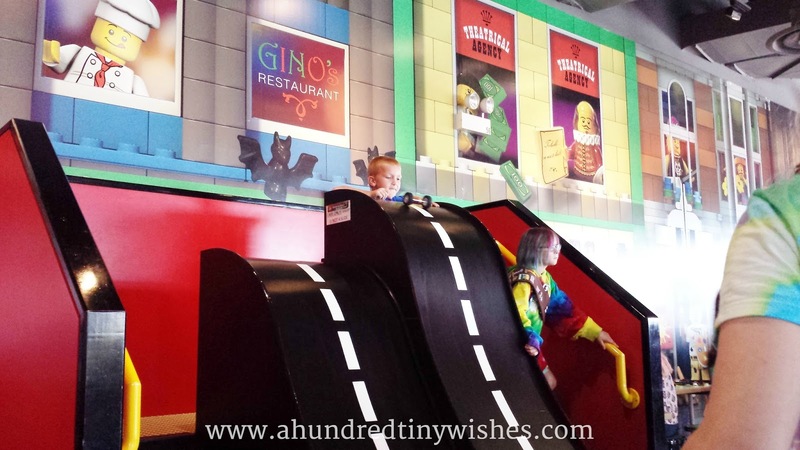 LEGOLAND Discovery Center Chicago is considered the Ultimate Indoor LEGO playground. The whole building features life size objects made out of LEGO bricks, many build areas, two rides, a 4D cinema, and so much more. The attraction is designed specifically for 3-10 year olds to enjoy, and everything is kid sized; adults must be accompanied by a child (except at our adult only evening events). 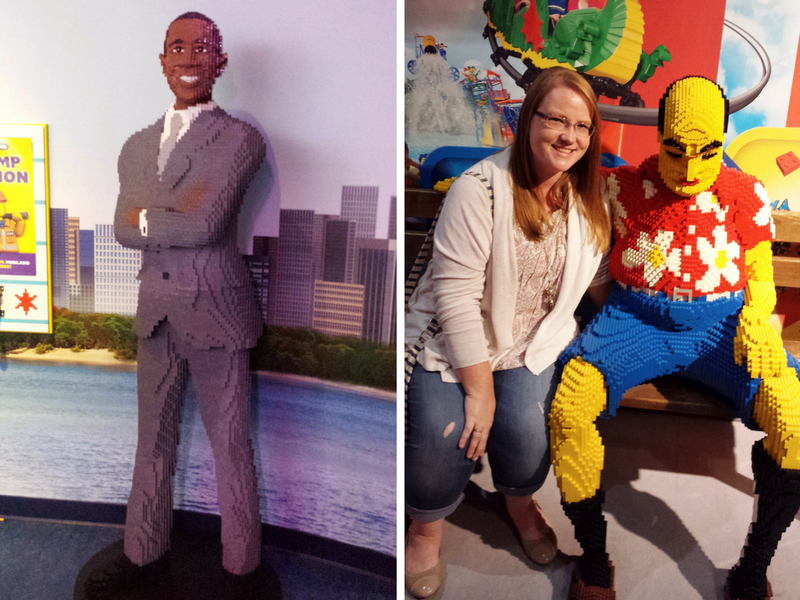 Once you get your tickets, a staff member will take your picture in front of a green screen and then you are immersed into the world of LEGO bricks. The first room that you walk into is MINILAND Chicago: an amazing rendition of famous landmarks in Chicago built out of over 2 million LEGO bricks. 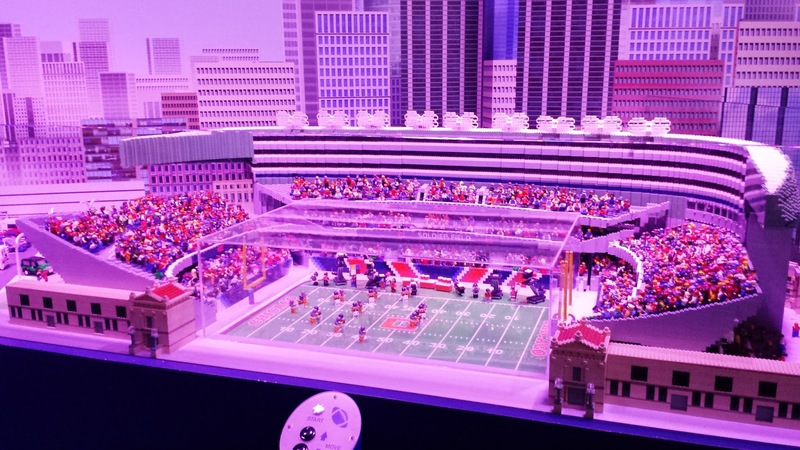 From Navy Pier to the skyline, Soldier Field, and even a life size copy of President Obama, the MINILAND Chicago room is sure to impress. It changes from night to day within a matter of 6 minutes, so you can see the skyline light up and be "in" the atmosphere of Chicago. It is a good introductory room, because it gets you excited & amped up for the whole LEGOLAND Discovery Center experience. The next room on the tour is the Jungle Expedition. A rather small room, but it's packed with life size LEGO tigers, hippos, monkeys, and more. This is one of the first rooms that truly amazes due to the immense amount of LEGO bricks used- seriously everything is built using the bricks. 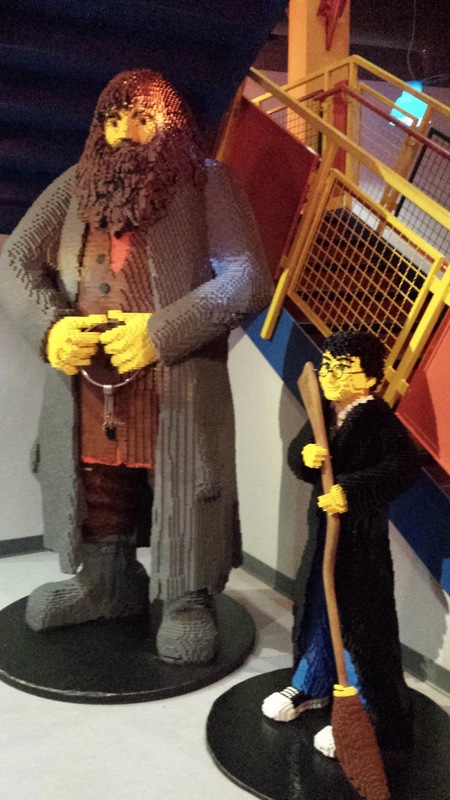 Upon exiting the Jungle Expedition room, you come face to face with a rather large LEGO brick man and enter the LEGO City Builder room. The LEGO City Builder room is equipped with multiple LEGO brick building stations around the outer edge of the room, and in the center is an array of pre-built buildings waiting for more additions. After spending some time in the LEGO City Builder Room, the next area is the Kingdom Quest Laser Ride. And yes, you can ride it. The dragon cars are equipped with laser guns, and each car can hold four people. As the car goes around the ride, your mission is to shoot the "bad guys" with your laser guns. Each enemy defeated is more points. Interactive screens transport you back into the medieval times, and yes, there is a large dragon made out of LEGO bricks for a pretty great experience. As an added bonus, each bench of the car (there is two) has their own tally, so you can compete with friends or family. 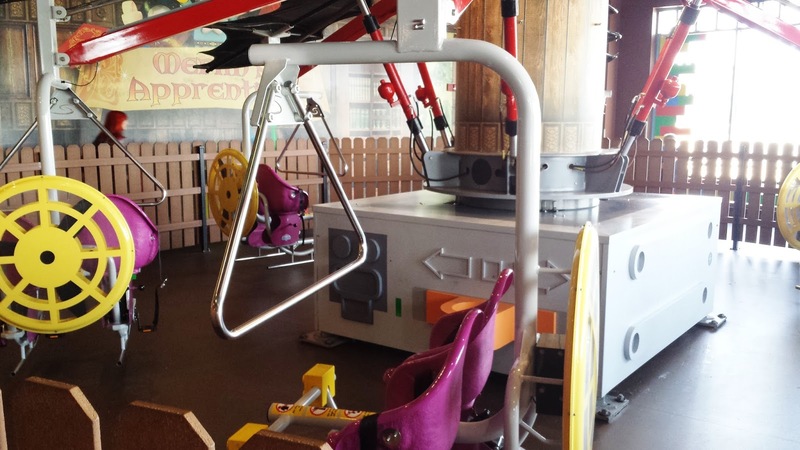 The ride is included in your ticket price, and you can ride it as many times as you wish. *Guests under 4'3 must be accompanied by an adult. 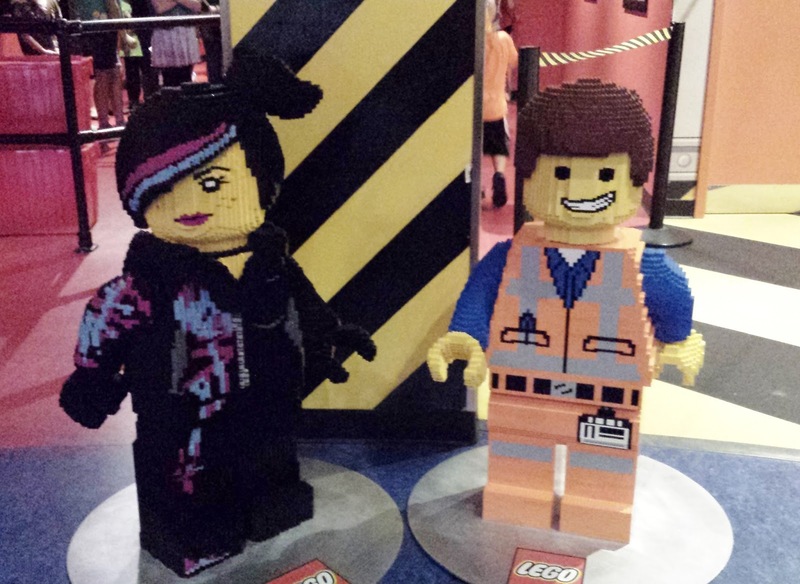 Entering the upper level, you come face to face with Emmet and Lucy (Wyldstyle) from The LEGO Movie, and the main attraction on the upper level: the LEGO 4D cinema. The cinema features four family friendly, approx. 12 minute movies rotated throughout the day. All ages are welcome, the cinema is included in the admission price, and there aren't any set times to view. Since there aren't any set times to view, it is possible for a line to form, but if there does- don't worry, because there are two wall builds to keep kids busy. Movie wise, my family and I watched LEGO Clutch Powers, and my son really liked it. If you have never ever been to a 4D movie, it's pretty much like a 3D movie with a little something extra (think fake snow falling, a fan blowing making it windy, water squirting, etc). The next stop on your LEGO adventure, is the LEGO Racers: Build & Test area. The area features an area to build a raced and a large ramp to test it on. Directly across from the Build & Test, is the cafe, which offers salads, sandwiches, chips, candy, granola bars and bottled drinks. Prices are in the normal range for a Chicago based attraction. *The center does not allow outside food, but if there is a severe food allergy or diet restriction, accommodations will be made for an individual person. Also in the area of the cafe and Build & Test area is the Merlin's Apprentice Ride, Pirate Adventure Island, and DUPLO Village. The Merlin's Apprentice Ride is family friendly and really fun. The basis is that you pedal to "fly" up your contraption up in the air, but once you stop, the contraption will fall right back down. Again, the ride is included in the admission price and you can ride an unlimited amount of times. The Pirate Adventure Island is a large play area filled with large building bricks, LEGO brick building areas, and a water area where kids can build a LEGO pirate ship and sail it through a series of obstacles. 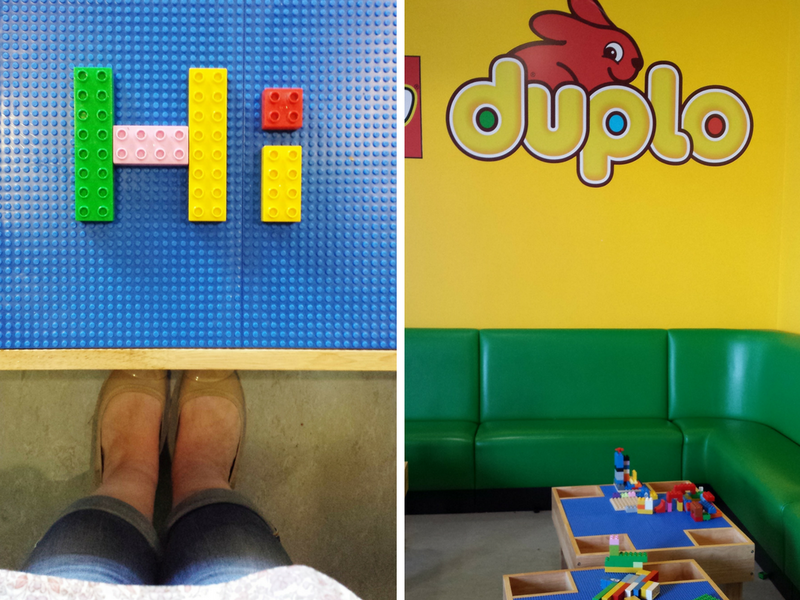 The DUPLO village is a great area for younger children. It features building tables, a small slide, and a pool full of DUPLO blocks. Once you complete the upper level attractions, you have completed your self guided tour, and the elevator/stairs will take you right back down to where the Kingdom Quest Laser Ride was. On the other side of the stairs (opposite Darth & R2D2), there is a great photo op with Harry Potter and Hagrid, along with the place to view/purchase the picture you took at the entrance. The exit door is just past the picture place, and once you exit, you will be in the LEGO store. The LEGO store features the normal: LEGO building sets, bricks, key chains, and a mini figure building station. The prices aren't high, and reflect what you would pay somewhere like Walmart or Target. 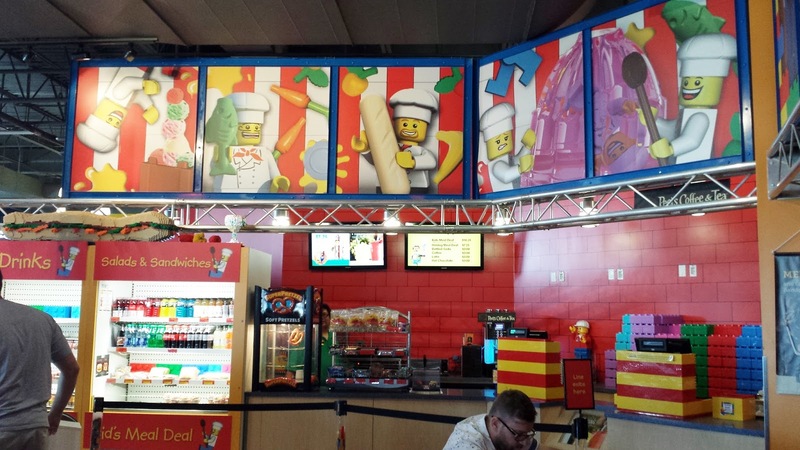 LEGOLAND Discovery Center is located at the Streets of Woodfield, next to Woodfield Mall in Schaumburg, IL. The center is accessible by driving, or from Chicago via public transportation on the CTA and Pace Bus. Drive times vary depending on location, but I know that from where we live in Indiana, it took up approx a hour and 35 minutes. Parking is simple and easy. There is a large parking lot adjacent from the Center, or a free parking garage, about a block away. LEGOLAND Discovery Center Chicago is open 365 days a year. Monday - Friday from 12:00 p.m. - 7:00 p.m.
Saturday - Sunday from 10:00 a.m. - 7:00 p.m.
Tickets are available for purchase either online or same day when you arrive at the facility, but it is cheaper if you purchase online. General admission tickets are $19 (plus tax) per person, with children 2 and under being free. All tickets include access to ALL of the attractions. If you purchase your tickets online and 24 hours in advance, you can also purchase different packages, like adding a LEGO collectible, and save 25%. The online price is $14.25, AND you must choose your time slot. The center also offers military discounts, savings for groups of 10 or more people, and Hotel Partners savings. There are many photo ops throughout the center, and even though the website doesn't mention cameras, be assured, they are allowed. 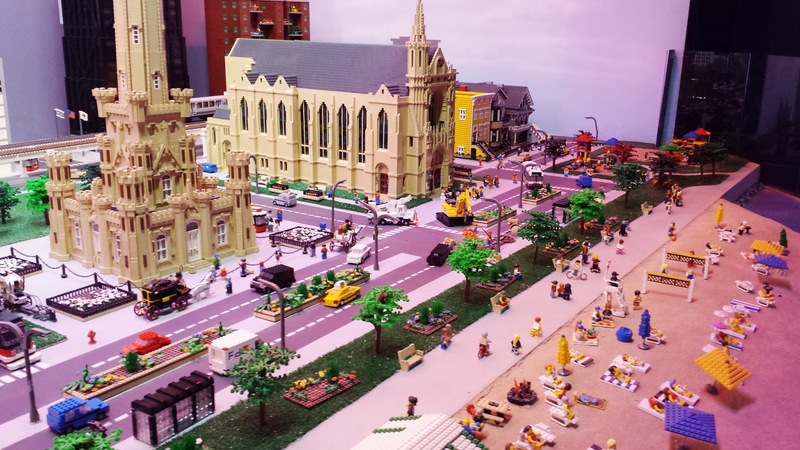 According to LEGOLAND Discovery Center Chicago, the best time to visit is after 2pm. They also say that it is quietest during the school week and on Sunday afternoons. I found this to be true, especially since when we went, it was after 2pm on a Sunday. A typical visit will take about 2-3 hours. We stayed for a good two hours and were able to experience every attraction. The facility is fully accessible for individuals with disabilities and stroller friendly. They offer an elevator, family restrooms, and allow baby food/milk. All staff is also trained in first aid. 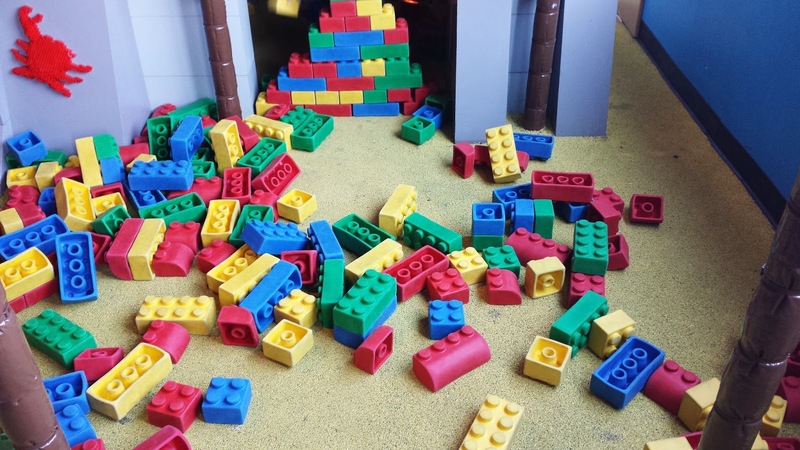 If you have younger children, LEGOLAND Discovery Center Chicago offers Toddler Tuesdays, when the Upper Level is exclusively for toddlers 10-12p. 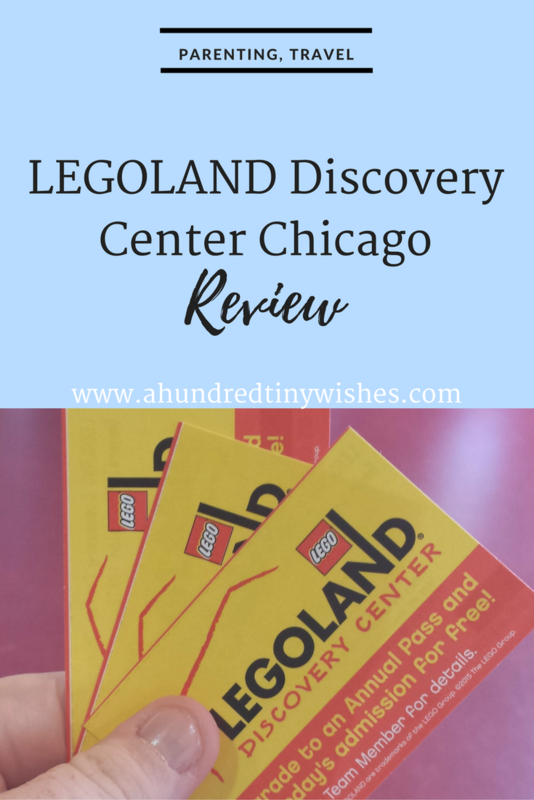 Honestly, I really liked LEGOLAND Discovery Center Chicago. I have read a few bad reviews, and my visit wasn't free of some small issues, but at the end of my tour, I addressed with all of the issues with a shift manager. The staff was very friendly, and it was a genuine friendly- no one knew I was there to review the property; to them I was just a parent with my child. On the other hand, Lil Man LOVED the visit. Since our visit, he has been asking to go back- which is a good thing. And he talks about the Center when he is playing with his LEGO bricks. 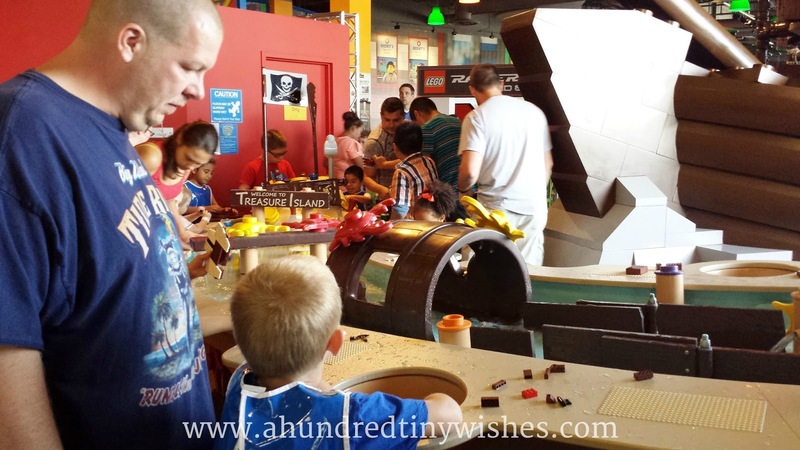 My view is this: LEGOLAND Discovery Center Chicago was developed with kids in mind. 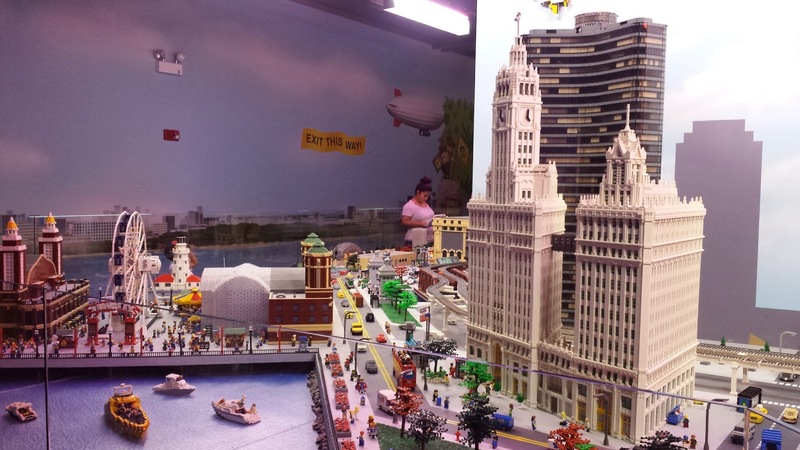 Sure, the MINILAND Chicago was more for adults, but throughout the attractions, you could see a trend: designed for kids. 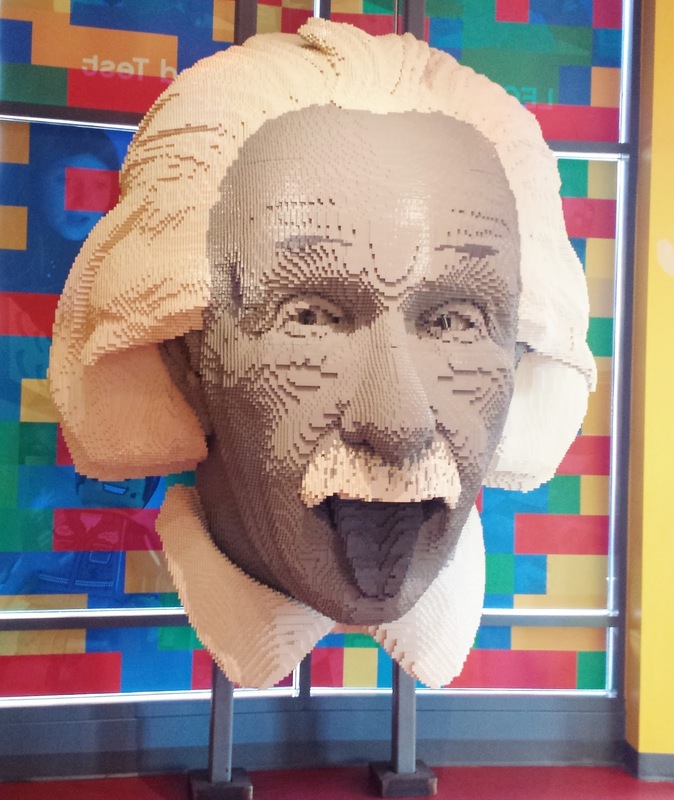 I will return to LEGOLAND Discovery Center Chicago soon, because yes, it was an enjoyable experience for my family and I. 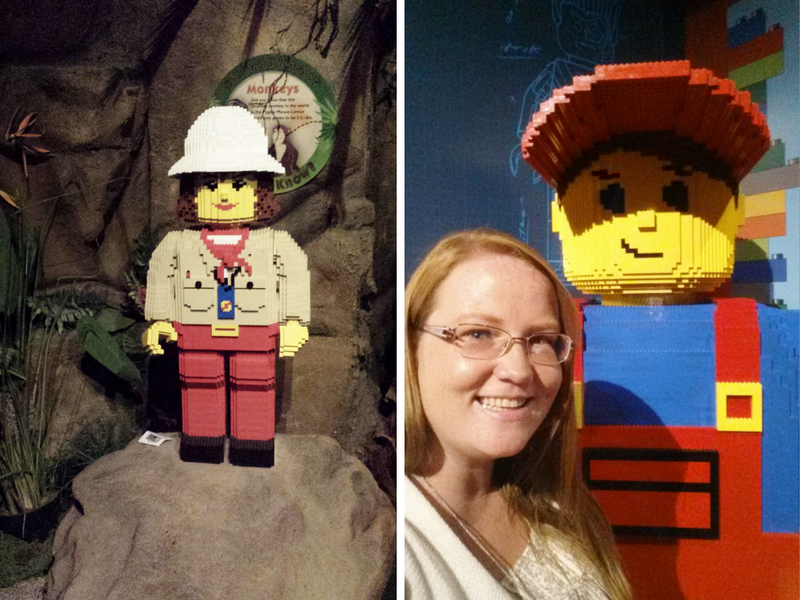 To find out more about LEGOLAND Discovery Center Chicago, visit them on Facebook, Twitter, or Youtube! Ps. their Youtube Center has a lot of cool LEGO brick building idea videos! 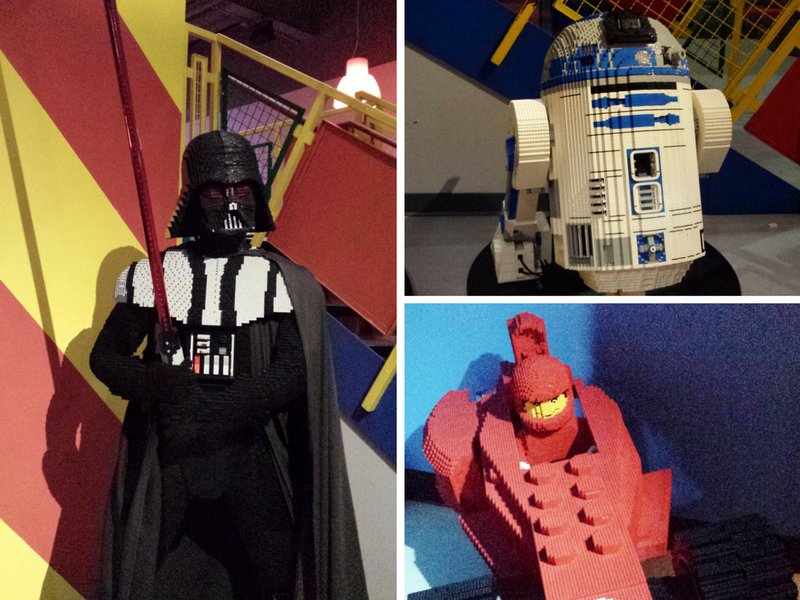 Have you ever visited a LEGOLAND Discovery Center? Disclosure: This is a Sponsored Post. 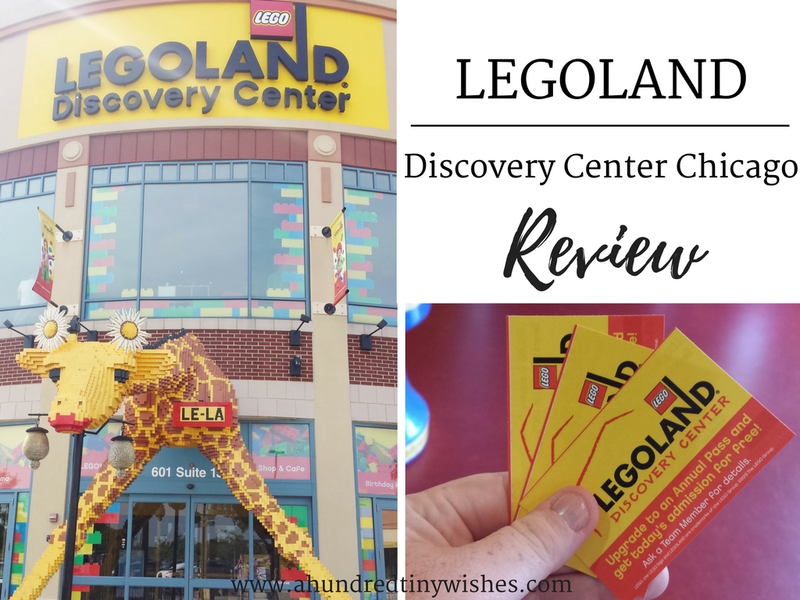 I was given tickets to LEGOLAND Discovery Center Chicago shown in the photos above in exchange for an honest review. The opinions I have expressed in this post are 100% my own.